Like an Xbox controller, the Switch’s pro controller will situate its joysticks on a diagonal rather than a horizontal axis. On the Switch, the second analog stick will be on the bottom right. This frees up the top right side of the controller for button-mashing—buttons that, like the Wii U Pro’s, Xbox’s and PS4's, are in a diamond shape. It’s a good idea on a few fronts. 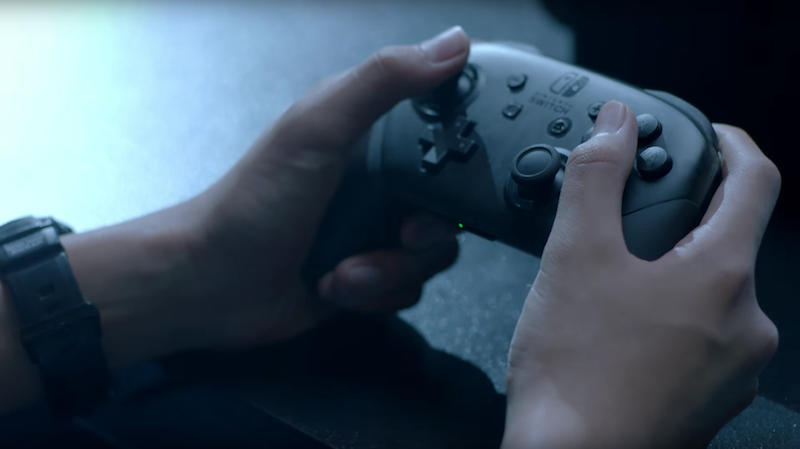 The Switch pro controller’s joysticks will resemble a GameCube controller’s, which competitive Super Smash Bros. players still use 15 years after the GameCube’s release. It’s clunky to move your right thumb to the bottom right of the controller to use attack buttons—or at least, counter-intuitive. Smash Bros. fans used to “Smash” attacks on the “C” stick—a la GameCube—will be pleased with the change. Also, now that titles like Skyrim are making their way to the Nintendo Switch, its pro controller’s nod to the Xbox controller layout will make the adjustment easy for Xbox users (sorry, PS4!). Aside from the joysticks and buttons, the Switch’s competitive controller has four, instead of three, buttons in its center: a plus button, a minus button, a home button and a mystery circle button. The first three are on the Wii U Pro. The final one is difficult to discern in the Switch trailer, though some speculate that it’s a “sync” or a “share” button. The Switch’s Joy-Con controllers, on each side of the Joy-Con Grip, are also interesting. It’s got four triggers, as is standard at this point. The two Joy-Con controllers are detachable for remote play, usable either alone or as a pair in each hand. When removed for portable use, those controllers only have one joystick each and no D pad, but both a bumper and a trigger. They’re really tiny. The plus and minus buttons are literally in those shapes, instead of printed on circle buttons, which is a cute detail. The Nintendo Switch’s portable console paired with its promising new pro controller (and, hopefully, a great new Super Smash Bros. game) is fighting game gold. There’s a lot of innovation happening here and it seems like Nintendo has been listening to feedback from its user-base. So, why was the Switch trailer parading Splatoon as its lead esports title?